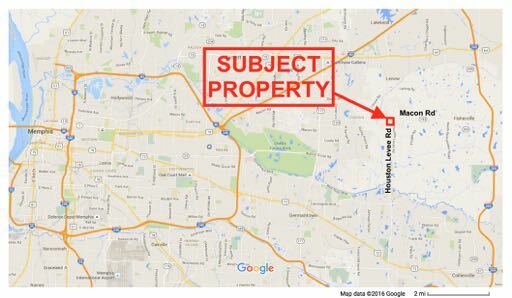 There are 3 parcels available totaling almost 13.17 acres. 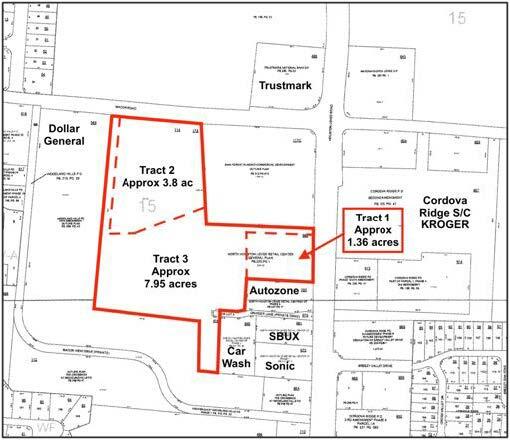 The Cordova Ridge S/C across the street is anchored by a 57,000 sf Kroger and contains also has 26,463 sf of shops. Restaurants & retailers nearby include Starbucks, McDonald’s, Zaxby’s, Burger King, Baskin Robbins, Anytime Fitness, Subway, Dollar Tree and Autozone. Located at the Southwest side of Houston Levee & Macon Rd across from Kroger anchored Cordova Ridge Shopping Center.